Si-Gate GmbH, a leader in the field of Automotive Electronic Development is proud to announce the decision of ARM and 3SOFT to demonstrate AutoSAR on the Si-Gate X-1500 FPGA Development Platform. Recently, visitors of the Baden-Baden 12th International Conference Electronic Systems for Vehicles, could see first hand the advantages of bringing the speed and power of AutoSAR together with the advanced architecture of the X-1500. Gate GmbH, a leader in the field of Automotive Electronic Development is proud to announce the decision of ARM and 3SOFT to demonstrate AutoSAR on the Si-Gate X-1500 FPGA Development Platform. Recently, visitors of the Baden-Baden 12th International Conference Electronic Systems for Vehicles, could see first hand the advantages of bringing the speed and power of AutoSAR together with the advanced architecture of the X-1500. ARM, a leading provider of microprocessor IP for automotive applications and a Premium Partner to the AutoSAR Consortium, is contributing its experience in designing cost-efficient, high performance, embedded processors, to help refine AutoSAR software specifications. 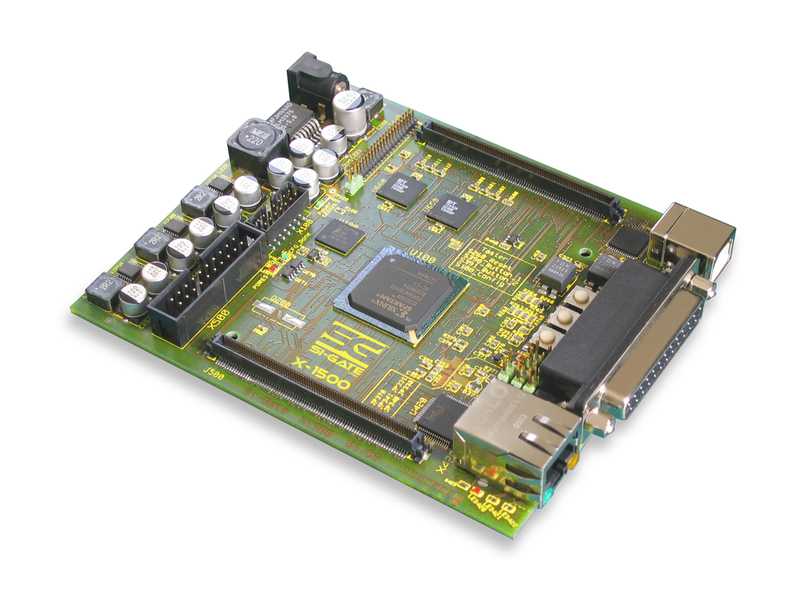 Because of the current lack of available silicon, they turned to the FPGA based X-1500 to demonstrate 3Soft’s prototype implementation of the tresos ECU AutoSAR. 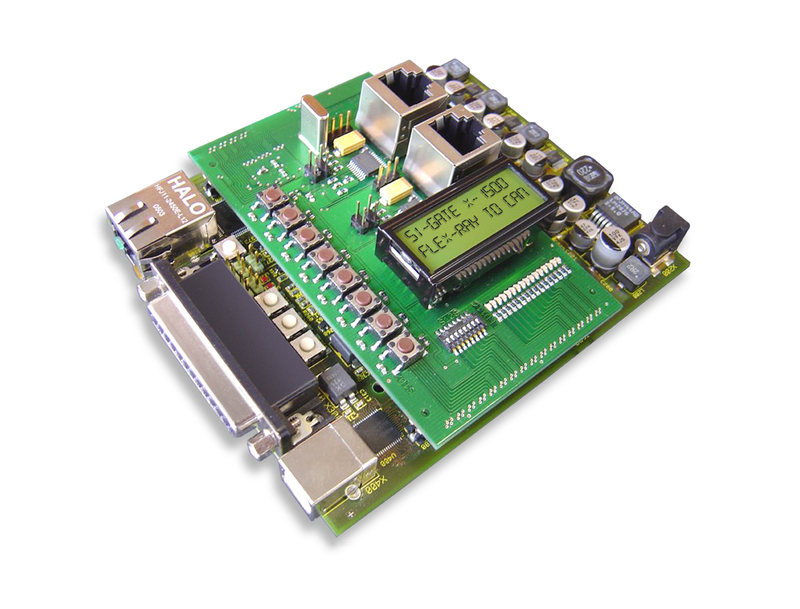 This implementation is running on the ARM® Cortex™-M3 processor-based microcontroller platform. The Si-Gate X-1500 is a complete 32-bit Field Configurable ECU platform, combining the highly popular 32-bit ARM7TDMI-S™ processor or other third-party processor cores with standard System-on-Chip peripherals and over 150 user programmable I/O’s. It is contained within a Xilinx Spartan-3™ 1.5 million gate FPGA with programmable logic for custom driven IP applications, a robust memory subsystem, and a full suite of Automotive and Industrial peripherals. The X-1500 enables programmable System-on-Chip applications and expands traditional development platforms by including necessary physical layers on-board the ECU. The X-1500 also supports physical layers for 10/100 Ethernet, JTAG, USB 2.0, 12-bit ADC, High and Low Speed CAN, LIN, K-Line, UART, and SPI along with on-board Flash and SRAM memory. The X-1500 also is available with a newly added FlexRay interface daughterboard providing a viable solution for a FlexRay to CAN Gateway. Si-Gate GmbH develops hardware and software solutions worldwide for the automotive electronics industry. They are leaders in powertrain development projects, VHDL programming, and electronic design and prototyping. They also design and build products specifically for use in automotive electronic developments such as data loggers and FPGA ECU development boards. The company headquarters are located in Stuttgart Germany. ARM is a registered trademark of ARM Limited. ARM7TDMI-S and Cortex are trademarks of ARM Limited. All other brands or product names are the property of their respective holders. “ARM” is used to represent ARM Holdings plc; its operating company ARM Limited; and the regional subsidiaries ARM INC.; ARM KK; ARM Korea Ltd.; ARM Taiwan; ARM France SAS; ARM Consulting (Shanghai) Co. Ltd.; ARM Belgium N.V.; AXYS Design Automation Inc.; AXYS GmbH; ARM Embedded Technologies Pvt. Ltd.; and ARM Physical IP, Inc.
Si-Gate X-1500 Data SheetGives an overview of the main technical details and configurations of the Si-Gate X-1500 Si-Gate X-1500 Reference ManualA manual giving an overview of the X-1500 interfaces and pin-outs. Si-Gate X-1500 Si-Gate X-1500 with FlexRaySi-Gate X-1500 with FlexRay daughter board interface mounted.